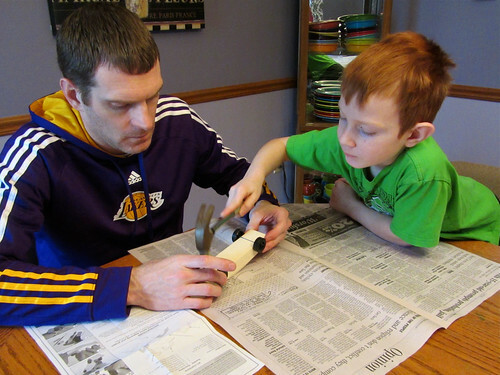 Me and my dad were building on my pinewood derby car. It was fun. We used a hammer, glue, and sandpaper. We are going to paint it green. I can't wait for the race.